Vintage Cocktail! | ___is black the new black? Recently, I was gifted a bottle of Crème de Violette and instantly returned to an occasion on a hot summer day when a friend decided he would mix everyone Aviation cocktails, which were all the rage back in the 1930s. Unfortunately our hostess lacked some of the basic ingredients, namely lemons and Maraschino liqueur so he made the substitution of orange juice from the carton for the freshly squeezed lemon juice. He was also a bit heavy handed with the Crème de Violette. The result: Dimetapp with OJ. I had three things going for me. 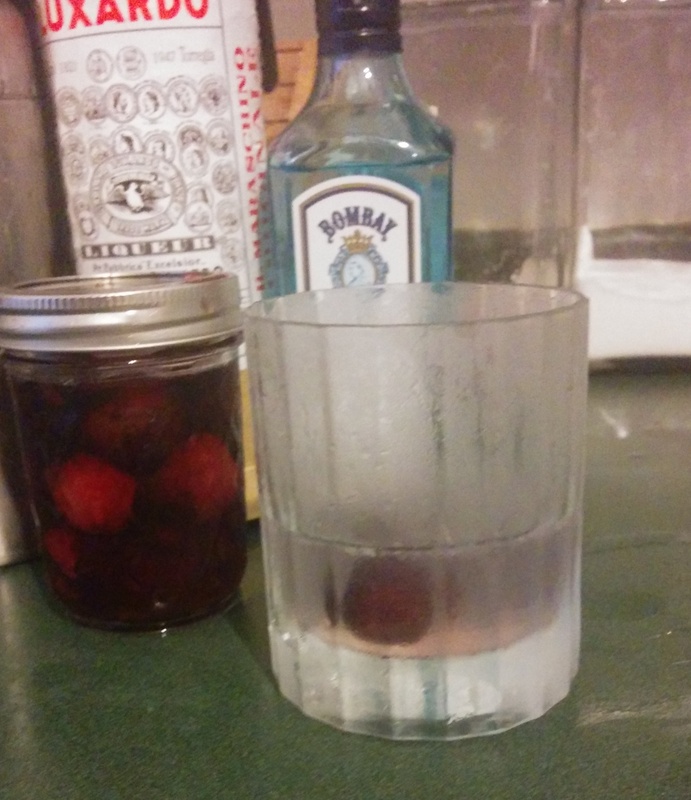 My own Maraschino cherries (and consequently a bottle of Maraschino liqueur), the patience to use a recipe, and all the ingredients. 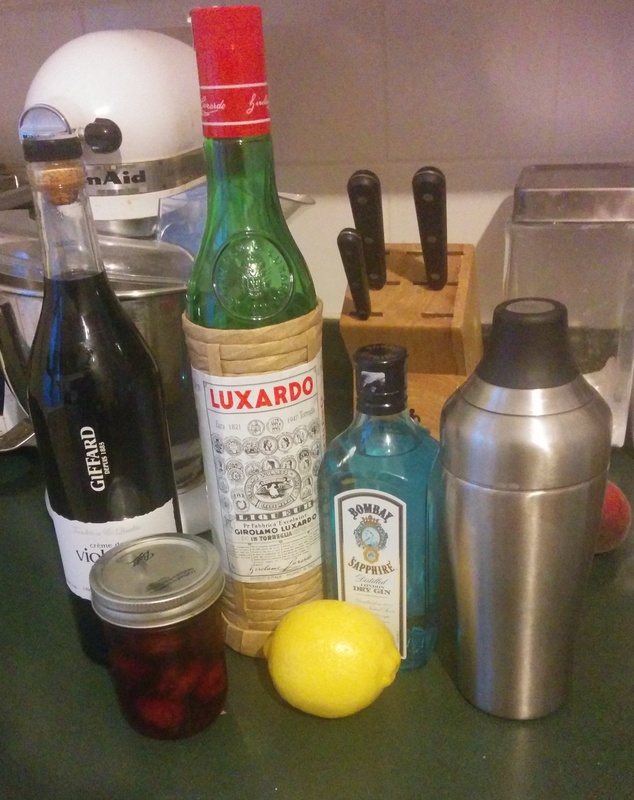 This entry was posted in recipes and tagged cocktail. Bookmark the permalink.